CEED is an entrance exam for admission in M.Des (Master of Design ) programmes at IISc Bangalore, IIT- Bombay, IIT Delhi, IIT Kanpur, IIT Guwahati and IIT Hyderabad. Bhanwar Rathore Design studio is the leading design coaching institute in the country with 22 centres across the country. BRDS Vadodara is centrally located near race course road and is easily accessible from all parts of the city. BRDS provides the best CEED Coaching in Vadodara. With more than 156 selections in CEED/UCEED, BRDS has had produced the best results in the country in CEED / UCEED. Students can register for our demo classes by taking a prior appointment and get to know more about our teaching methodology, course material, faculties etc. BRDS conducts a scholarship test wherein eligible students are given up to 100% off on their fees subject to their scores and performance in the scholarship test. 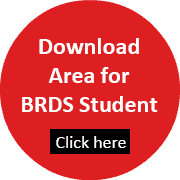 BRDS has faculties from prestigious institutions like IIT,NID, CEPT etc who are experts in various fields of design and provide an indepth understanding of subjects from the entrance point of view. Our faculties provide students with invaluable tips and insights to ace their tests. BRDS also conducts high profile events like fashion show, interior design show on an annual basis to give students first hand industry exposure, which is a unique feature of BRDS compared to all institutes providing CEED Coaching in Vadodara. We encourage students and parents to visit our Centre to have a better understanding of the quality of services and facilities provided, along with other features which makes us the best institute providing CEED Coaching in Vadodara.